Here's how caregivers can take care of themselves. 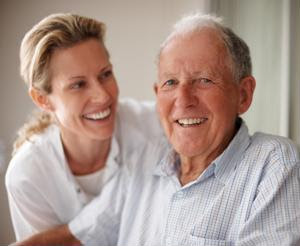 There are many aspects of providing in home care that make the job physically and mentally difficult, but some of them can be changed. Consider making changes that will improve both your and your clients' lives, like addressing their own sleep issues so that you can get more rest too. If your or your clients' family members offer to take part of your load off your shoulders, you should absolutely accept the help. Remember, the job can feel isolating, but there are likely others who can help you go grocery shopping or take your clients to doctor appointments. Try not to let the big picture overwhelm you. If it starts to, focus on making one change at a time instead of trying to take everything on at once. It will take patience, but you'll feel better in the end!